The next regularly scheduled meeting of the Board of Works will be Monday, April 22, 2019 at 5:00 p.m. in the City Hall Council Chambers, 201 Vigo Street. 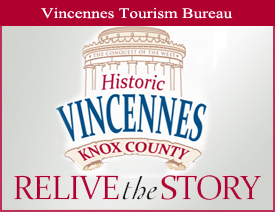 The Vincennes City Council will also meet that same evening at 6:00 p.m. in the City Hall Council Chambers, 201 Vigo. The public is invited to attend. As a reminder to residents who use City totes for trash pickup in Vincennes, all trash must still be bagged and $1.25 sticker must be attached to each bag for collection by the sanitation department. Trash will be picked up on Tuesday, Wednesday and Thursday each week and should be set out by 7:00 a.m. on your pickup day. If a trash tote is not available, please place stickers on each bag and set them near the street to be picked up on your scheduled day. The City Collection Site, on Old Terre Haute Road behind the Girls Softball Diamond Complex is open – Monday thru Friday from 7:30 a.m. until 2:30 p.m. with gates locking at 2:30. It is also open on Saturdays from 8:30 a.m. until 1:30 p.m. with gates locking at 1:30. Due to muddy conditions and inclement weather it is sometimes necessary to close the collection site. 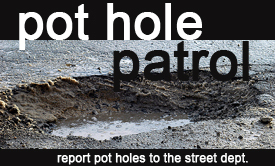 We suggest you call the Street Department at 812-885-2520 before going to ensure the site will be open. Requests for limbs and yard debris to be picked up should also be phoned in to the Street Department at 812-885-2520 to be scheduled for collection. For more information, please press 1-0 at the end of the menu.